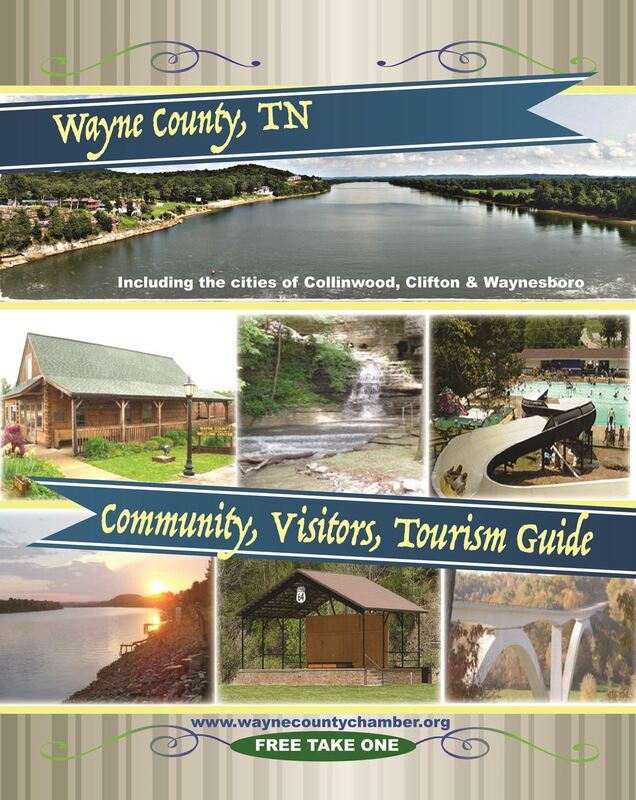 Our 2017 Community & Visitors Guide! The Wayne County Chamber of Commerce is a proud facilitator of the Kauffman Foundation. 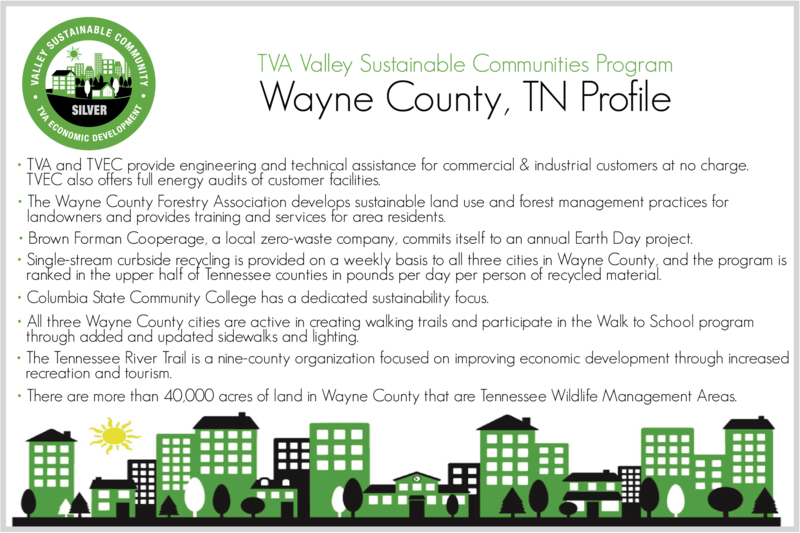 Wayne County is recognized as a Silver Level TVA Sustainable Community. Click Here for more info. 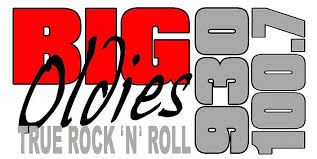 Check out Big Oldies Radio online! 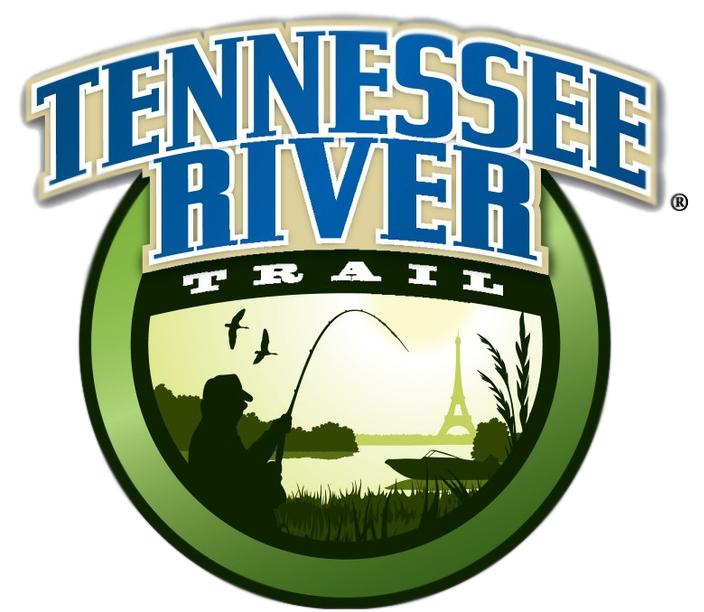 Here is just a short sample of activities to do while visiting us! Come on down, stay awhile. We promise, you wont regret it! 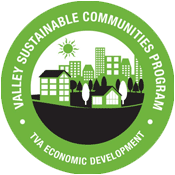 Continuous preservation and enhancement of the quality of life in the Wayne County area. 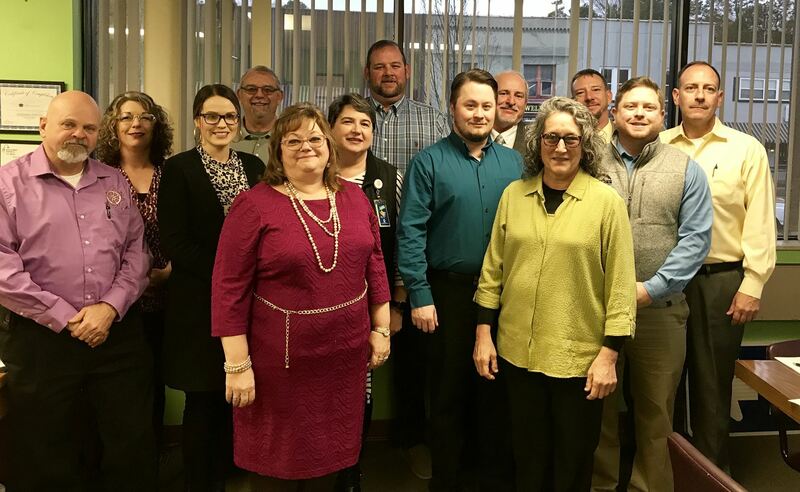 The Wayne County Chamber of Commerce is dedicated to enhancing and promoting business and industry in the Wayne County area by using all available resources to provide service, guidance, and support for all of our members.